Like everyone else this summer, my schedule is filled with so much to do! There are colleges to think about, jobs to work, people and places to visit, and of course, writing for Sweet Designs! But some things are just traditional and fun - something to look forward to every summer. For me, it's my home away from home, my second family, a way to get away from the norm. Some call it a hobby. I just call it the Fifth Mass Battery. 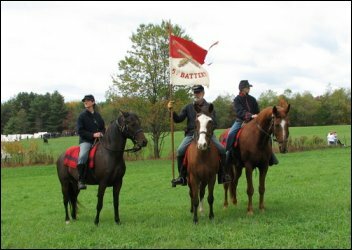 The Fifth Mass is a Civil War reenacting group made up of various people. My family and I were introduced to this through a co-worker of my mother's who is the captain of the battery. It started with just me, but my family went to every event with me, and soon we all became members. We usually stay local (around New England), but this past July we actually spent a week down in Gettysburg, Pennsylvania. Usually I dress as a soldier because I ride the horses. But there are times when we don't bring horses down to where I work on the cannon or I dress as a civilian. Each event is generally the same. 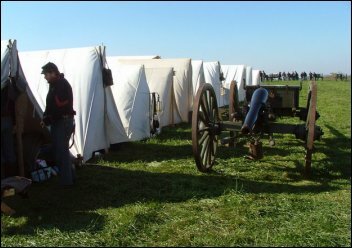 We arrive and set up our tents, which are called A-frames, and are very similar to what the soldiers in the Civil War actually slept in. 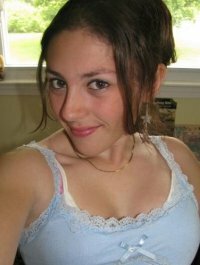 We try to keep everything very period - no jeans, cell phones, coolers, or earrings! We do sleep in cots and sleeping bags, but we try to keep the tent doors closed so people visiting won't see. Usually there is a battle or two a day. 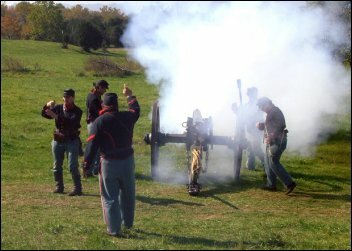 We generally pull the cannons to the battlefield, but on the hot days when the battlefield is quite a distance away, we often hook the canons up to the trucks and drive them down. The battles may all seem the same, but I find each one is so different and exciting. The booming of cannons is all around you, along with the snapping of musket fire. Horses prance and neigh, and everyone is shouting orders to everyone else. It's usually pretty chaotic, which makes things that much more interesting. Everyone really gets into it. We've been charged upon and have charged others. We have saber fights on horseback with men pretending to die. And at the end of the day, we all sit around the campfire and joke around. I look forward to each event and the fun times we always have. I'm not a big history buff, but you do learn a lot. And seriously, how many people can actually say they've shot a cannon or had a saber fight on horseback? 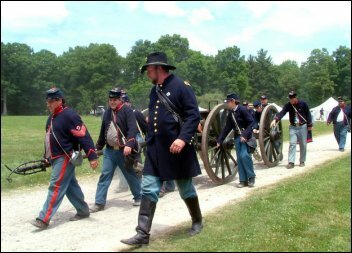 Reenacting is something people (my age especially) don't ever think about getting into or don't have the opportunity to do. It really is a great experience, even if you just want to come and watch the battles and see what it's all about. If you live in the eastern Massachusetts or southern New Hampshire area, we frequently have events in Lawrence and Amesbury, so feel free to come and watch! For more photos and information, visit www.fifthmass.org. Subject: Fifth Mass, Fall In!